Founded by the three artists Tuna Erdem, Seda Ergul and Onur Gökhan Gökçek in 2012, the Istanbul Queer Art Collective is a performance collective based in Istanbul. Recently, Leman Sevda Darıcıoğlu and video artist Burak Serin have joined the collective and opened it to further collaborations. Having performed more than 20 performances around the world, their recent project “Fluxus Remakes” re-stages and "queeryfies" fluxus happenings, inviting participants and viewers to try, experience and – most importantly – to fail with them. This is because neither perfection or virtuosity, but incompetence and failure is what the collective explores. Engaged in political and social discussions, it's possible to come across their happenings in a nightclub, a park, an ancient site or simply anywhere around Istanbul. Moreover, the founders Tuna Erdem and Seda Ergul are not only engaged in Istanbul's offline art world, but they also run the art blog sanatsepeti, in which they write about their experiences through exhibitions and performances. 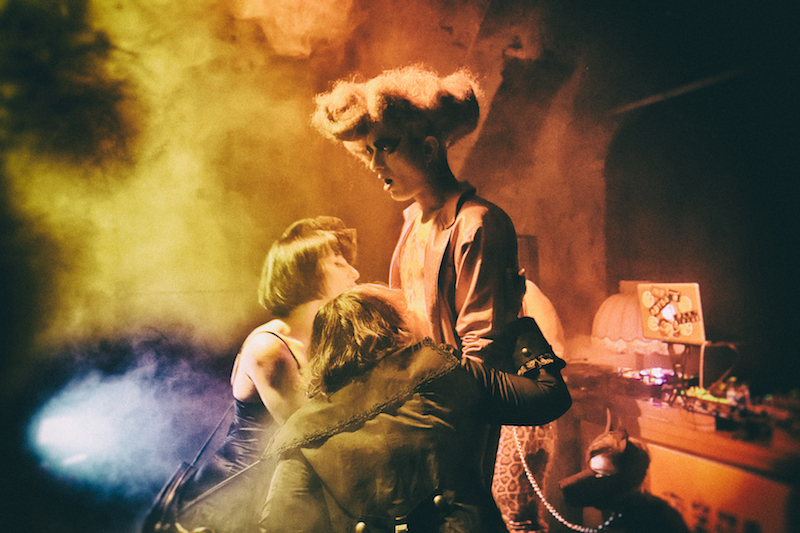 In our interview, I talked to the co-founders Tuna Erdem and Seda Ergul about how clichés of orientalism and of being queer merge and meet in their practice, about how the Turkish occupy movement influenced their performances and what it exactly means to practice a "queer art of failure".